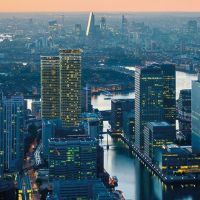 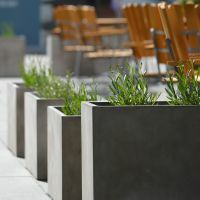 Bespoke steel planters are commissioned for the launch of Wardian London – the prime residential development by EcoWorld Ballymore. 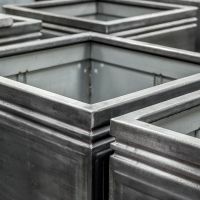 Bespoke steel planters are commissioned for one of London’s most prestigious ‘super-prime’ residential developments in Chelsea, London SW1. 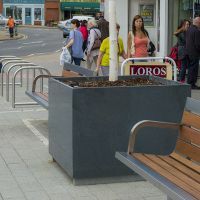 Bespoke granite tree planters are selected for town centre improvements in Oadby and Wigston, Leicestershire. 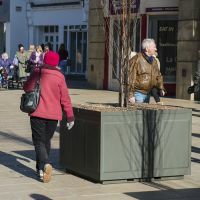 IOTA’s Boulevard planters are selected for Regent Court shopping centre, in the heart of Royal Leamington Spa. 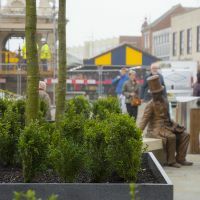 Bespoke granite tree planters are commissioned for the town centre of Dudley, as part of the £7m redevelopment of the town’s historic Market Place. 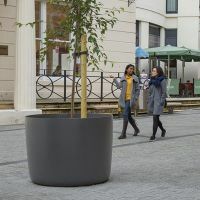 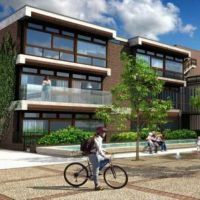 Steel tree planters are commissioned by Cheltenham Borough Council, in a scheme to green two pedestrianised areas of Cheltenham High Street. 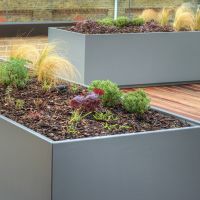 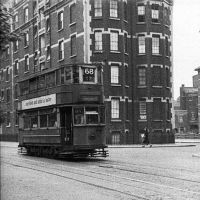 Bespoke powder coated steel planters were supplied to Devon Mansions, in the historic Victorian docks area off Tooley Street, London SE1.